Despite its status as a hot commodity amongst emerging technologies, the augmented reality industry is not immune to the ebbs and flows that occur in every industry. As Microsoft prepares to unleash the sequel to original HoloLens, Meta Company has crashed and burned, as the company has exhausted its cash flow and an unknown buyer has scooped up its remaining assets. And, as Niantic collects another nine-figure round of funding, Snap says goodbye to two more executives. The rise and fall of Meta, the Silicon Valley-based augmented reality startup that looked to challenge the likes of Microsoft's HoloLens, and others, took just six years. Now, as the story of the company draws to a close, we finally have some deeper insight into what exactly happened at the company — and how it all went down — as well as what the future may hold for the company's assets, directly from its founder, Meron Gribetz. REALITY BITES: After attending CES 2019, Tony Parisi, global head of VR/AR brand solutions at Unity, argues that the future of "extended reality" isn't in the display technology, but in faster 5G networks that will enable AR clouds and the streaming of complex 3D content, such as volumetric capture models. The mystery surrounding the release of the next version of the HoloLens has been swirling for months, but at least some of that mystery may be removed in the coming weeks. In an invite sent out on Wednesday, Microsoft is inviting members of the media to an event at this year's Mobile World Congress (MWC) in Barcelona, Spain. 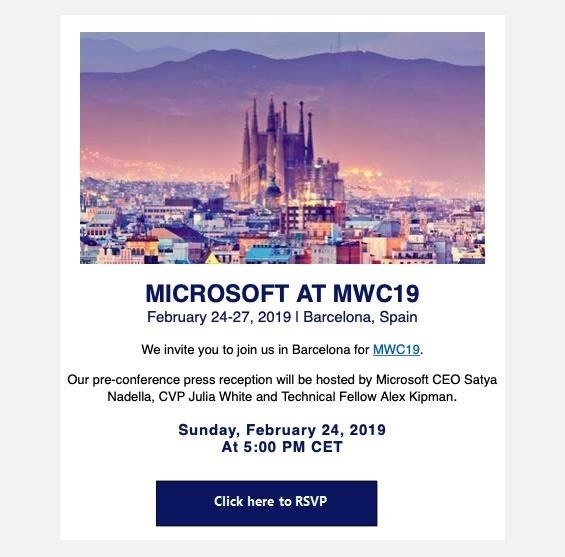 That's fairly normal for MWC, but what stands out is one name included on the invite: Alex Kipman, the inventor of the HoloLens. REALITY BITES: After finally launching its flagship augmented reality headset in 2018, Magic Leap now has some some additional industry accolades to legitimize its technology. The Academy of Interactive Arts & Sciences (AIAS) has named two Magic Leap One apps as finalists for the 22nd DICE awards recognizing the top video games of the past year. After reports surfaced in December that the developer was catching another round of funding, Niantic confirmed on Wednesday that it has indeed closed a $245 million Series C round of investment. Silicon Valley firm IVP led the investment round, with aXiomatic Gaming, Battery Ventures, Causeway Media Partners, CRV, and Samsung Ventures also participating as strategic investors. REALITY BITES: Matt Heiman, a partner at venture capital firm CRV, has shared some insights on why his firm participated in Niantic's latest funding round. 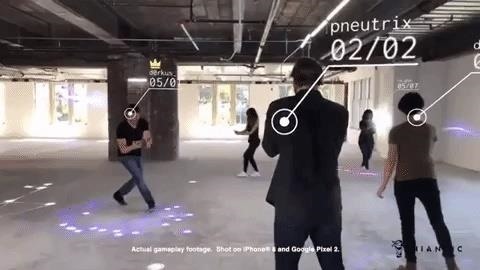 In doing so, Heiman also attributes part of Niantic's success to its business model of partnering with popular intellectual properties, which lends some optimism to the forthcoming Harry Potter: Wizards Unite AR game. REALITY BITES: Oh, by the way, two more Snap executives are headed for the exit, but under more unusual circumstances. The Wall Street Journal (paywall) reports that Snap dismissed the executives as the result of an investigation into an "inappropriate relationship." The bad news for Snap keeps piling on, as CNBC reports that the company has lost more than $20 billion in value since its initial public offering in 2017.